5 x 14 x 7 in. 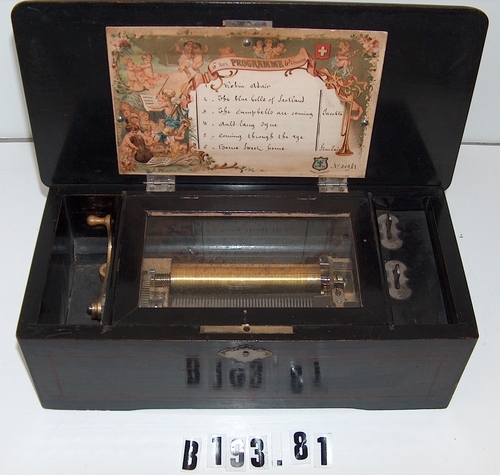 Black wooden box, hinged lid with floral decoration in the middle, mechanism visible through glass when lid is open. Plays various songs.